Body image includes a person’s beliefs, thoughts, and attitudes towards their body. Having a healthy body image means feeling comfortable and confident in your body and accepting the uniqueness of your natural body shape and size. The prevalence and popularity of social media can have a negative impact on how we view ourselves and make it more difficult to maintain a healthy body image when we are bombarded with unrealistic standards of beauty. I was lucky enough to grow up before social media became as big as it is today. While there was no Facebook or Instagram to influence me as a teenager, I did read magazines which featured stick-thin models and featured articles on how to lose weight or get a flat tummy, etc. I found myself comparing my body to the bodies on the magazine covers and it usually left me feeling inadequate. There are so many physical, mental, and emotional changes that take place as a teenager and with that, your body image may feel fragile as you experience changes that you have little to no control over. 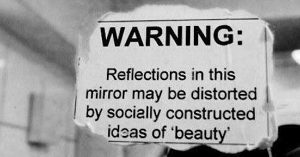 Society places a huge emphasis on outward appearance and gives us a very unrealistic and narrow view of what is perceived as beautiful. I had a personal experience where I was blatantly confronted with that narrow vision of beauty when I was in my early 20s. I decided to audition for the Miss Universe Canada pageant because I thought it might be a fun experience as I had never done any modeling or pageants before. I had to audition in front of this man in charge of making final decisions. We had to walk the runway and be able to pose at the end, turn around, and walk back. It was very nerve-racking as I’m sure most auditions are. We were told that we would be given a yes, no, or maybe answer on whether we could compete. If we got a maybe that meant he would come back in another month or so to see us again and then decide. I received a maybe. I was told that I should lose 10 pounds and then I would be able to compete. I couldn’t believe that this man had the nerve to tell me that I wasn’t good enough the way I was! I was very shocked and upset by his response. I had gone into the audition feeling confident about my body and I left feeling inadequate. I started to wonder if maybe he was right. I lost a lot of confidence in myself and in the way I viewed my body. It took some time for me to let his criticism go and come to the realization that my opinion of myself mattered more than anyone else’s. I was so upset that I didn’t bother coming back to the second audition because it went against my own values and beliefs and it really struck something deep inside me. I am proud of myself for having enough confidence to realize that this man had no right to tell me what I should look like and I wasn’t going to let his opinion make me doubt my own worth! It made me really angry because I knew that he was probably saying that to other girls and those types of comments can lead to unhealthy behaviours, especially for individuals already struggling with confidence. I think it takes a lot of self-awareness and self-compassion to come to a place where you believe that your worth isn’t based on your outward appearance. It takes inner strength to ignore negative comments and love yourself as you are. It took some time for me to let his criticism go and come to the realization that my opinion of myself mattered more than anyone else’s. 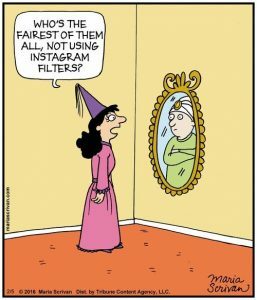 In today’s world, social media seems to follow us everywhere we go and comments on appearance are continually posted. The number of opportunities that we have to compare ourselves has increased exponentially with the use of social media. We spend hours every day scrolling on Instagram or Facebook and the accounts we choose to follow can influence how we feel about ourselves. When we spend time viewing certain content, such as #fitspiration (a person or thing that serves as motivation for someone to sustain or improve health and fitness) or #thinspiration (something or someone that serves as motivation for a person seeking to maintain a very low body weight), it can be harmful to our mental health. We are continually comparing ourselves to these unrealistic and altered images. Although we may be aware that the images we view are edited, altered, or filtered in various ways, they can still have an influence on us. In fact, even when images have a disclaimer label explicitly stating that this photo has been photoshopped, it doesn’t make a difference. The more exposure we have to these idealized body images, the more likely we are to feel inadequate and unhappy with ourselves. Feelings of inadequacy can lead us to want to change our bodies to fit into this unrealistic body ideal. When we’re posting images on social media, we are also influenced by the number of likes we get on our posts. When posts receive more likes, comments, shares, we feel good about ourselves and are more likely to post content that receives more engagement. One potentially harmful pattern we can develop is to equate our self-worth with this external validation we receive and start to value what others seem to value in us. We may also feel that urge to constantly be checking our accounts for fear of missing out (FOMO) on hearing about our friend’s exotic trip or knowing every detail of what’s going on in everybody’s life. We may use social media as a way to feel connected to others yet real connection exists in the here and now moments that we share when we are with someone face to face. Receiving a warm embrace from a friend or loved one or having a good laugh together can be very nourishing to our soul. So how do we use social media while trying to maintain a healthy body image? We can choose what and how we are exposing ourselves on social media. We can choose to follow accounts that make us feel good about ourselves and unfollow accounts that make us question our worth or leave us feeling somehow lacking. We can choose to follow more realistic and body positive accounts (check out Jessie’s Legacy social media @loveourbodies) and to also include accounts completely unrelated to body image such as nature, travel, animals, or other hobbies. We can also choose how often we engage in social media. We might give ourselves daily time limits or even set up time limits on Instagram through their settings. When we find ourselves going down the rabbit hole of social media and starting to feel bad or discouraged, we can decide to put our phones away and do something else like go for a walk in nature, spend time with a friend, or cuddle up to our cat. Just finding something to do that feeds our soul can help us let go of that negativity. Taking a detox from social media, even for short periods of time, can also be beneficial. Taking that time away can help remind us that true connection lies in the moments in which we are fully engaged with the outside world. Amara Hinde is a graduate student in counselling psychology, with a specialization in school and youth, at Adler University. 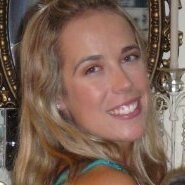 She is an intern with Jessie’s Legacy and values the opportunity to engage with communities to enhance eating disorders awareness and prevention. Amara also loves to write poetry and spend as much time in nature as possible.